It has been a while since you last heard from me. Life has been busy!I’d like to tell you that I have some great plans for the Project Management for the Masses website and brand for this summer. I can’t tell you much about it right now, but all I can say is “stay tuned.”Now, the reason why I’m writing you today is to share this amazing free resource. This webinar is going to be held this Thursday and space is limited. I will certainly be there. You can click here now to reserve a spot. 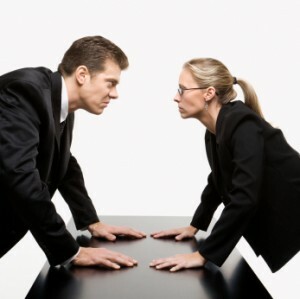 So here’s my question: Are YOUR Negotiating Skills up to par? How can you make it through your work week without engaging in some type of negotiation? You can’t! Sometimes even deciding when and where to hold a meeting or when and where to have lunch is a negotiation. The real negotiations occur over the real work. Unreasonable schedules, unavailable (or unwilling resources), impossible requirements, these are the situations that require you to bring out your inner negotiator. How can you separate the people from the problem? This one hour coachinar® will be recorded and all registrants will receive access to the recording along with a special thank you offer from Margaret Meloni for being part of this special learning experience. Margaret Meloni of Meloni Coaching Solutions will be your coach/host of this live Webinar. Margaret delivers soft-skill, personal development products and coaching for Project Managers worldwide. Her coaching products help make successful Project Manager regardless of their industry. Learn more about her: margaretmeloni.comYou can register for this coachinar by clicking on this link. Let me know if you’re attending, I’d love to meet up with you then.